"The Achiever Of Many First" His Successful Achievements Gave Us Hope. Cleveland State University, Howard A. Sims African American Cultural Center, Recognizes Carl & Louis Stokes As Historical Figures For Black History Month 2006. Test Your Knowledge of Events. What two Stones brothers were National Public Figures? 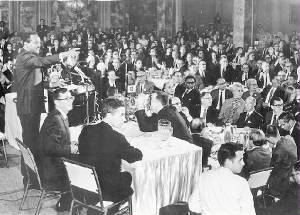 Who was admitted to the Ohio Bar in 1957 and elected the first African American Democrat to the Ohio House of Representatives in 1962? Who was the first African American Mayor of a major U.S. city? What year did he become mayor? What was his inaugrated date? What was his middle name? It was a historical time and event for African Americans when this Stone Family became mayor. He made history repeatedly over the course of his life's political career endeavors. This Stone Family Member was on the Cover of Time Magazine in 1967, he was also, the first African American Anchor Man and Broadcaster @ WNBC-TV in N.Y.C. in 1972. He was an award winning broadcast journalist for 8 years. He authored his memoirs, A Promise of Power: A Political Autobiography. 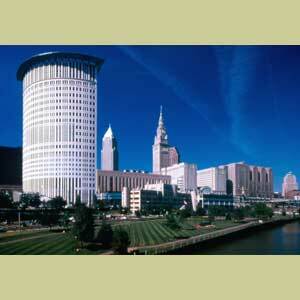 You can read his online e-book for free @ www.clevelandmemory.org/ebooks/stokes. He was elected a Municipal Court Judge in 1983 and in 1994 he was appointed by President Bill Clinton the US Ambassador of Seychelles. He was the first American elected to all three branches of government---the legislative, the executive and the judical. He was awarded 14 Honorary Degrees. He was a member of the Horation Alger Association of Distinguished Americans & many other Civic Organizations. The National League of Cities unanimously voted him it's first African American president - elect. What was his brother's political tittle and government office? How many years did his brother hold office? Which brother recieved a Doctor of Law Degree in 1953? Which brother is a lawyer, statesman, administator and educator? Which brother is a Founding Member of the Congressional Black Caucus in 1969? Which brother was honored with the Congressional Distinguished Service Award? What year did he recieved it? He has an outstanding public office career and tenure. He was the first African American of Congress from the State of Ohio. He has played a privitol role in the quests for social change and justice in America. He was Honored by his family's Stone Family Legacy Committee as a highly regarded Stone Family Elder at their Commemorative 2004 Legacy Awards Program. He has deservely received numerous prestigious Civic Citations. He was named one the "Most Influential Black Americans" by Ebony magazine every year since 1971. He is the recipient of the " Martin Luther King, Jr. Award" from Ebony magazine and the William L. Dawson Award from the Congressional Black Caucus. He has 26 Honorary Degrees from colleges and universities across the nation. Which of Fannie and William Stone daughters were the brothers mother? 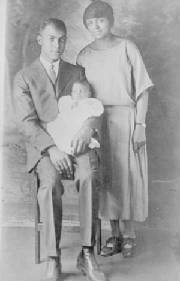 The Parents of the American History Makers. Name Cleveland's Woman of the Year 1968.
out of very little. How she was a loyal and steadfast friend, confidante and helped her family with her wisdom to handle many of the life challenges they faced before her death. Photo Credit: The Library of Congress. You can find books, encyclopedia and other educational reading materials @ the largest online Library. 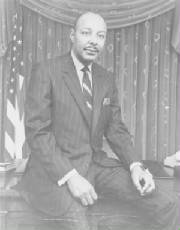 Helpful Resources & References for Carl & Louis Stokes. Are you a History & Memorabila Collector? HistoryForSale Autographs - Dealer of authentic autographs and manuscripts from all areas of interest including politics, military, celebrities, science, sports, music and more. Click Here To Read The Tribute To US Ambassador Carl B. Stokes. Keep informed on legislation and community issues that affect you. If you have any questions or concerns about specific legislation, suggestions or opinions you would like to express please contact your District Represenatives. Take Action Be Empowered! Act on the issues you care about. Make a phone call , write a letter or send an e-mail. You can make a difference. Do you need help to start your personal informational search? Go to www.governmentguide.com FYI: Links in this section Do Not open New Window. Red Scissors - We help businesses qualify for and win government contracts, and get funds for FEMA contractors, invoice factoring, accounts receivable financing, purchase order funding, consumer product financing, money for real estate notes or business notes. Do you know how to contact US Officials? Life In The USA - Complete web guide to life in the United States. Over 600 individual sections on every aspect of American life. United States Immigration Support. Green Cards, Visas and U.S. Citizenship application. Green Card Lottery Registration. Download Immigration Forms. Locate United States embassies, consulates and USCIS(INS) offices. Law Firms / Lawyers Worldwide Legal Solutions ..... without problems! Honest opinions and Reliable lawyer/law firm references in 205 countries and 1000 cities worldwide.